2 bedrooms on the main level and 1 bedroom upstairs in the finished attic. There is a one car detached garage with a paved driveway and a chain link fenced back yard for children and/or animals. The street lights in the front keep the property well lit.The back family room is an amazingly relaxing area to be and look out the French doors into the fenced back yard. The kitchen has lots of storage and a built in clock on the cupboard door. 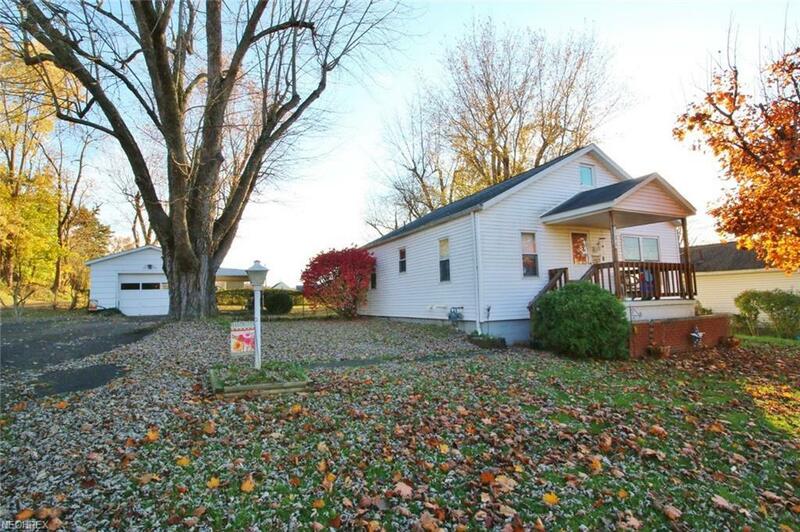 This house could make a great starter home or a great rental. Owner is willing to leave the picnic table, roll top desk, 2 dehumidifiers in the basement, and the water bed if the buyer wants them. There is a finished room downstairs with a bar. Kitchen stools stay also. Property is being sold in its present condition 'As Is"